Well, this is not surprising. On Monday morning, Speedo announced it's dropping Ryan Lochte, the Olympic swimmer who was recently caught lying about a late-night encounter in Rio. The Speedo snub could only be the beginning for Lochte — the International Olympic Committee (IOC) could be offering its own punishment in the coming days. Sure, losing Speedo's endorsement is bad news for Lochte, but an IOC investigation could prove to be much worse. 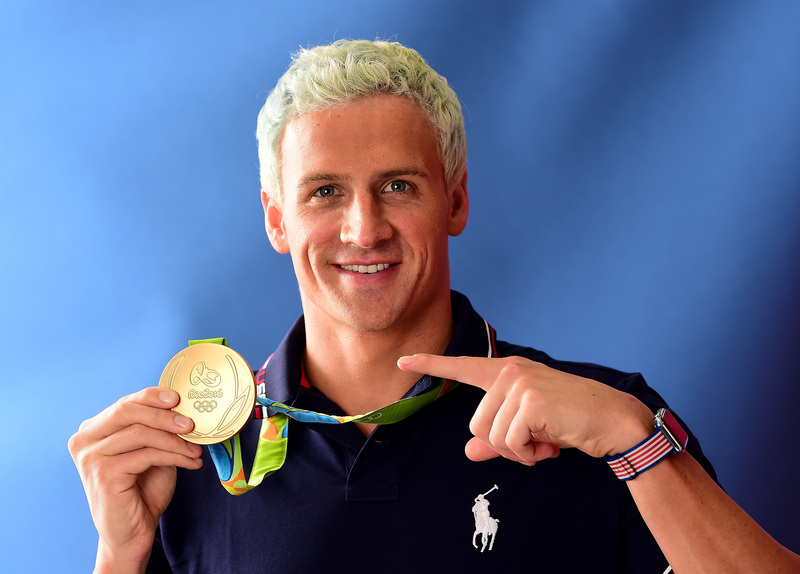 According to The Washington Post's Matt Bonesteel, Lochte was already lacking in endorsements before the Rio games. Now that he's lost Speedo, that leaves the swimmer with Ralph Lauren and Airweave mattresses — and it looks like Ralph Lauren may be about to drop Lochte, too. Bonesteel noted that while Ralph Lauren hasn't cut Lochte, it has, however, "removed Lochte’s name and image from its Olympic endorser page." Speedo's decision to drop the Olympic swimmer makes sense. After all, Lochte drunkenly vandalized a gas station in Rio, but lied to cover up the incident, claiming he and the teammates with him were robbed at gunpoint on Aug. 14. CNN reported that Lochte then left Rio, leaving his teammates to deal with the investigation that followed his actions and lie. Yeah, Speedo definitely doesn't want swimmers to think of Lochte ever time they put on a bathing suit and hop in the pool. Bonesteel also reported that Speedo will donate $50,000 of Lochte's fee to Save the Children, a charity that will make sure the money benefits underprivileged children in Brazil. Lochte himself might want to consider making a similar donation. There's definitely more bad news in store for Lochte. On Saturday, The Independent confirmed that the IOC has launched an investigation into Lochte, and established a disciplinary board for the swimmer. The board will have the ability to sanction Lochte for his behavior, if it decides the Olympian should be punished. Furthermore, USA Swimming is considering Lochte's case and deciding whether or not they should sanction the swimmer, too. Lochte's lie about his vandalism in Rio is sure to haunt him for a long time to come. Even though CNN reported that Lochte apologized for his behavior during a Monday interview on NBC's The Today Show, it's likely that the Speedo snub is only the first in a long line of penalties facing the swimmer after his actions during the Rio games.